If you're anything like me then you love the infamous #blackgirlmagic movement, you love natural hair, self love, spirituality, wellness, self care and you'd love to see all of these things combined into some sort of ultimate experience. When I stumbled across Shelah Marie's instagram account (@theshelahmarie) and saw how cohesively she expresses all of the above through her brand Curvy Curly Conscious I was elated. CCC expresses all forms of wellness, black girl magic, spirituality, and more all blended into one event experience. If you’re anything like me then you love the infamous #blackgirlmagic movement, you love natural hair, self love, spirituality, wellness, self care and you’d love to see all of these things combined into some sort of ultimate experience. When I stumbled across Shelah Marie’s instagram account (@theshelahmarie) and saw how cohesively she expresses all of the above through her personal brand and her newest brand Curvy Curly Conscious I was elated. CCC expresses all forms of wellness, black girl magic, spirituality, and more all blended into one event experience. Shelah , is a professionally trained actress and theater instructor, who’s using her talents to curate her brand Curvy Curly Conscious, which will help to spiritually heal, inspire and empower women of color. Shelah is that bestie we all need to have. If you’ve taken a peek at her instagram account then you have seen she is well versed in yoga, meditation , self love, health and wellness. The transparency she offers of her personal self love journey is a fraction of the basis for her popularity, that and, well her adorable viral photo of her and boyfriend Ace Hood practicing yoga together didn’t hurt either. Shelah’s brand Curly Curvy Conscious is a tribe of dope women who come together in major cities around the U.S. Women who are able to attend get to experience meditation classes, panel discussions, learn self love practices, and more. Umm… And if you’re anything like me again then you’re thinking you need to sign up asap! 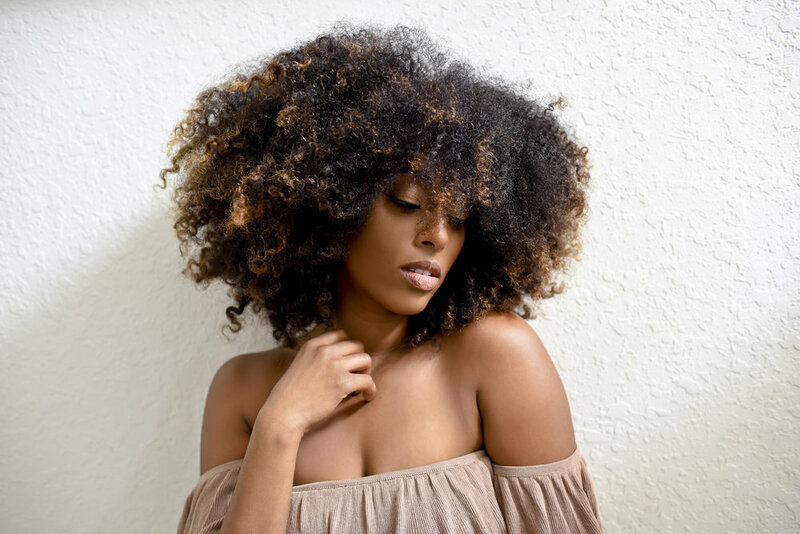 Shelah spoke to us about how she began her journey of self discovery, what inspired CCC, and how her boyfriend Ace Hood got involved in yoga, and it wasn’t as hard as you would probably imagine. Shelah said she expanded into the YouTube space by way of her Soul Study with Shelah sessions she held every Sunday live on periscope. Her soul study sessions were open to anyone who was interested and she covered topics that addressed personal development and growth. The sessions became very popular but she noticed her audience having a difficult time accessing the videos following her live stream, so YouTube naturally became the next option as an online place fit to house Soul Study with Shelah. To view her YouTube channel click here. Mediation is something Shelah practices religiously which explains her release of her very own guided meditation mix tape. Yes a mix tape of meditation music, how awesome is that?! This mix tape is oozing #blackgirlmagic, and makes it so easy for women to connect with her voice, for those who may need a little assistance meditating. 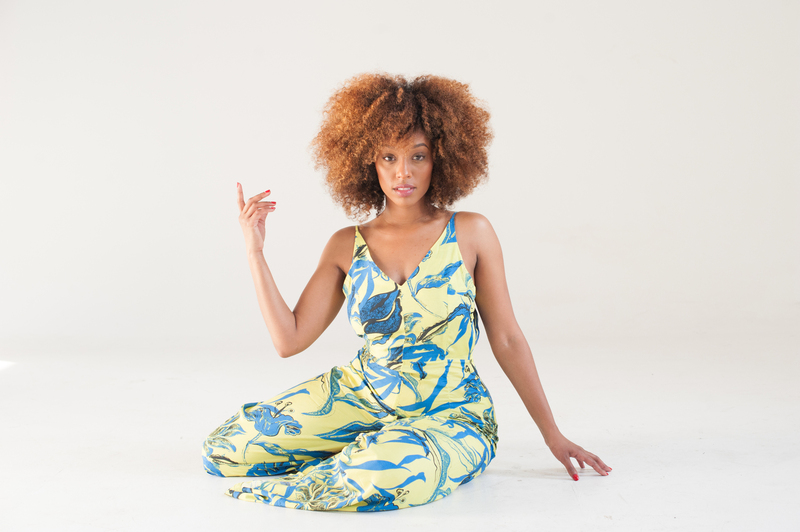 Shelah explained her mix tape was conceptualized by hearing other guided meditations and her inability to connect with the voice. You can stream it on iTunes, or purchase it on her website by clicking here. So let’s talk more about CCC and how her idea of the brand was conceptualized after using a particular hashtag. So of course my next question was if CCC will be making an NYC stop.“We’re not coming to New York this year but you never know what the future may hold”. As a professional actress Shelah has been featured in multiple films such as The Transporter , Miami Vice, Underground President, and featured in the following television shows Black Jesus, CSI Miami, and SMASH among other projects. Her skills as an actress is part of what’s leading her success as an entrepreneur and owner of CCC. Some of her favorite actors include Meryl Streep, Kate Blanchett, Viola Davis and Amy Schumer. Shelah revealed to us that although she no longer sees herself as a traditional actress, she’s utilizing her skills to build her own lane and company. As far as the future Shelah says she sees herself having more of an influential impact, her brand CCC will have expanded even more, and she’ll find a way to connect her love of acting and entertainment to wellness and health.